Lalati is an affordable boutique Beqa Lagoon resort, with a staff waiting to welcome you into their hearts, and shower you with deluxe service and gourmet cuisine. Plan the all inclusive honeymoon of your dreams. Or a memorable tropical wedding, under an arch of brilliant island blooms, led by fierce Fijian warriors and firewalkers. Renew your vows, or enjoy a beautiful anniversary to remember. Learn to dive in Beqa Lagoon's nutrient rich waters, or plan an all-inclusive dive trip that will captivate even the most seasoned diver. 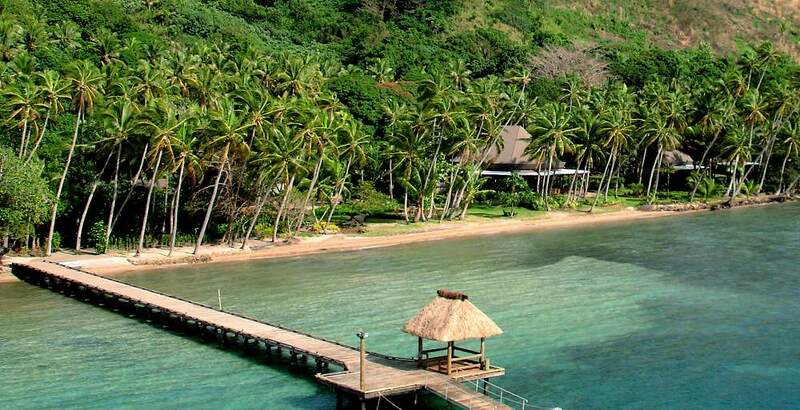 Spend the day in one of the best Fiji spas. Plan your Fiji trip of a lifetime at Lalati Resort & Spa. The magic and mystery of Beqa Island and Beqa Lagoon is captured at Lalati Resort and Spa. Romantic, all inclusive, and poised on a cobalt bay, Lalati Resort is your getaway for an all inclusive honeymoon, Fiji beach wedding, or intimate Fiji dive vacation. Throw open the front door of your private retreat each morning, to the spectacular colors of a Fijian sunrise. Dip into the warm tropical waters of Malumu Bay. Delight in the opportunity to explore every nook and cranny of Beqa's mystical island and surrounding seas. Chase the sunset, swim with seahorses. Prepare to be totally enchanted.